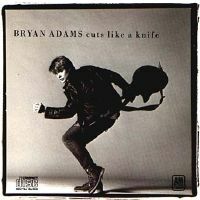 For this one, anyone under the age of 30 has to forget anything they heard from or about Bryan Adams in the 1990s. Yes, I’m in the camp that believes the song “Everything I Do, I Do It For You” is an embarrassment to hard rock and metal, even if it did stay number one in the UK charts for sixteen weeks. Now my ex wife may point out that I liked the song at the time. Well that was because at the time, I thought it was a great poke in the eye at what was in the UK charts at the time. 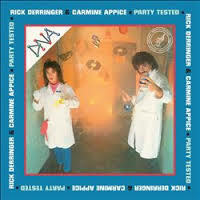 All that massed produced Stock, Aikman and Waterman crap and techno which always seemed to be around at the time. It was great that a rock song could take the number one slot and stay as long as it did. That’s my excuse and I’m sticking to it. Let’s forget about the 90s as it’s the 80s I’m here to talk about. 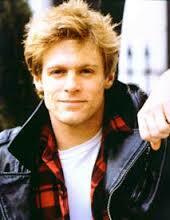 Back in 1983, Bryan Adams was a fresh faced kid who put out a decent album with some good songs on it. I think the best way to describe the album “Cuts Like a Knife” is to use the term ‘innocent.’ There is no attempt to go in any commercial or non-commercial direction with it. I like the think that Bryan was just out to make a record here and what happens, well it happens. 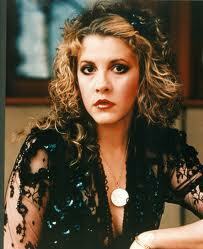 Stevie Nicks has one thing in common with George Harrison in a sense. I have already mentioned that George’s solo material his my favourite among The Beatles. Likewise, of the solo productions from the members of Fleetwood Mac, it is Stevie Nicks’s material that comes out number one for me. I have heard all of the comments about her having a voice like a sheep. 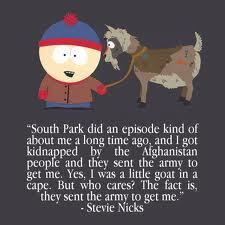 In fact, I enjoyed South Park’s little parody about that. The thing is that I don’t care whether or not she sounds like a sheep, I like her voice and the music that accompanies it. The album “Bella Donna” being one of them. Thinking back to when the songs of this album were played on commercial radio, I am reminded why I don’t like it very much. 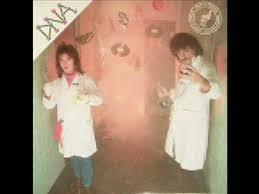 Back in 1981, the two songs that seemed to get all of the air play were the two duets that appear on the album. One was done with Tom Petty and the Heartbreakers, okay not really a duet, but “Stop Dragging My Heart Around is a decent song. So is the other duet she performs with former Eagles drummer Don Henley, the mellower “Leather and Lace.” I heard this song played on radio several months back and at its conclusion, the deejay only attributed the song to Stevie Nicks. It made me quite cross the Henley didn’t get a mention in the credits, especially as it was a classic rock station and have played Eagles songs in the past. 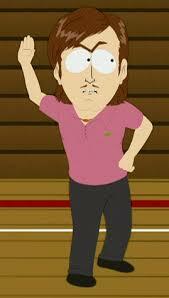 Okay, rant over. The point I was wanting to make pre-rant was that while the two mentioned songs are decent and so are the other tracks on the album, one song stands head and shoulders above the rest. It is “Edge of Seventeen” that has me banging my head every time I hear it and that is quite often as it’s on one of my MP3s. For Stevie, this is a great rock tune and shows that she can sing rock with the best of them. It is also a song that I would love to hear covered by a metal band. 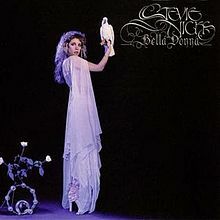 Fleetwood Mac may have been on a hiatus in 1981 but Stevie Nicks was tearing up the rock world with this great album. She showed that she was perfectly capable of making it on her own. Even if some people think she sounds like a sheep.